British Taekwondo is supporting an exciting, innovative project which aims to establish the benefits of taekwondo training on 8 to 12-year-old children. 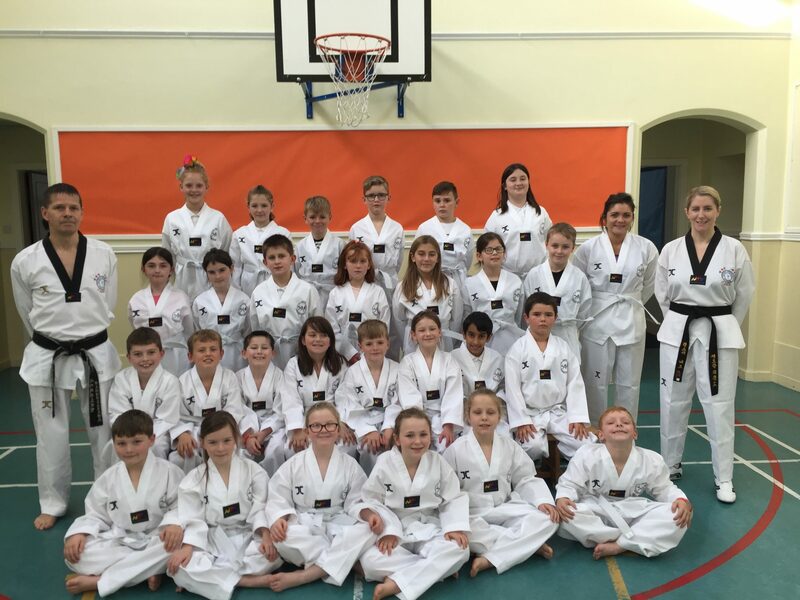 The project represents a creative partnership collaboration between Falkirk Council’s Airth Primary school and British Taekwondo club – Central Taekwondo Academy. The project aims to investigate the impact of incorporating weekly taekwondo lessons into children’s core Health and Wellbeing curriculum in Scotland over three years. The sessions are planned for by teachers within the wider framework of ‘Curriculum for Excellence’ but led by taekwondo coach, Grandmaster David Bailey (Central Taekwondo). The impact of this project is being analysed by a team of researchers from both Stirling and Edinburgh Universities. Gains will be measured in relation to children’s physical capacities (i.e., balance, flexibility, strength, fitness, height and weight), but also in relation to children’s mental, emotional and social wellbeing. Data gathered will be compared to a control primary school from a similar demographic to highlight the potential impact the incorporation of taekwondo may have. This research study will indicate if weekly taekwondo lessons can also have an impact on other aspects of wellbeing, for instance, children’s confidence, self-esteem, motivation, engagement and participation. The project was devised by Taekwondo 1st Dan black belt, Dr Lynsey Burke. 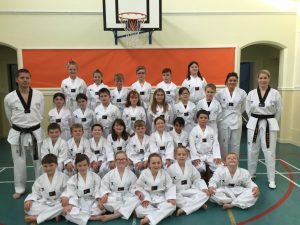 Lynsey, who is Deputy Headteacher at Airth Primary School, said, “My vision for this project was to bring together three of my main interests – education, research and Taekwondo. I know how many benefits I have felt since I started taekwondo three years ago and I wanted to give children in Airth the opportunity to experience achievement and success within a sport. We are fortunate and delighted to have such key partners on board to help us implement and evaluate the project”. GM Bailey said, “As taekwondo instructors, we regularly see the difference taekwondo can make to our students. This is an opportunity to gather evidence to prove what we as coaches already know. It is an exciting project to be involved in and it will hopefully be of great benefit in promoting our martial art/sport in the future”. Picture shows Airth Primary’s ‘Taekwondo Academy’ in their new training uniforms, courtesy of British Taekwondo.